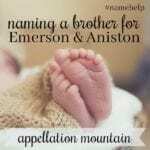 I’ve been following your site for years and was hoping you could help us with some ideas for naming baby boy number three! My first two boys are Townes and Rio. For number three I like “word” names like Pace and Wilder but my husband likes Leon and Callahan. I’m not opposed to either of his choices but don’t feel like they really connect with the names of our first two. Would love any advice or help! 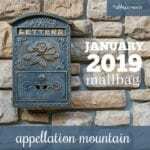 Please read on for my reply, and please leave your thoughtful suggestions in the comments. Here’s what I can’t stop thinking: I wouldn’t have suggested Rio as a brother name for Townes. Not that don’t work together. On the contrary, they share an appealing familiar-but-unheard quality. There’s something eclectic, even edgy, about the choices. That means – I think – that you’re in a very different position than many parents naming a third child. So often we feel like we’ve set a pattern with our first kiddo or two. And if you had boys named, say, Max and Sam, I’d have a tough time imagining a brother called Townes or Rio. But with Townes and Rio? Nearly anything feels possible. Except, of course, something as conventional as, well, Max or Sam. As long as the name has that unexpected, makes-you-say-ooh quality? It will fit. That brings me to your current list. I’d put Pace at the top. It’s the rarest of the three, a name that no one else is using, but one that feels very wearable. Except I wonder if the shared ending sound with Townes is a little repetitive? Wilder appeals, too. It sits in the middle, between buttoned-down Townes and outdoorsy Rio. Leon feels nothing like Townes and Rio; it’s a vintage revival name. But that fits your non-pattern, too! Callahan might be my personal favorite of the four. Again, I like that it feels very different from both Townes and Rio – except it would be a second surname name, so maybe it’s a little too close to Townes? For that reason alone, I’d put it four of four. Have a different ending sound that Townes and Rio, so no ‘s’ or ‘o’ enders. Bram – Like Townes and Rio, Bram is a short name with a lot of sound. It comes from Abraham, but while it’s very popular in parts of Europe, it’s rarely heard in the US. Calix – An ancient name, from the Roman Callistus. The downside is that it might be misheard as Alex. But that also makes it feel slightly more accessible, I think. Hale – Similar in sound to Pace, but with an ‘l’ instead of an ‘s’ sound at the end. I like Hale’s meaning, too – healthy and hardy. 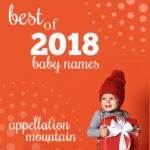 Lorcan – A lot of names on your lists end with n. It’s a big category in boys’ names for the past generation or two, but that doesn’t mean every name is overexposed. Lorcan is Irish; it means little fierce one. You’ll hear it more in Ireland than the US, but it’s not unknown here. Thane – Strictly speaking, Thane started out as a Scottish title. (In Macbeth, Lord Macduff is the Thane of Fife, and Macbeth himself is the Thane of Cawdor.) I think the sound has plenty of potential appeal, and it’s a rare choice for a child. Vaughn – It’s been in the US Top 1000 since the year 1899, but most of the time, it feels pretty obscure – and yet instantly familiar,too. Zane – Zane hovers near the Top 200 in the US right now, so at first glance, it doesn’t fit. Except I think it sounds exactly right with Townes and Rio. Overall, I’m leaning towards Vaughn if you can’t agree on Pace. But I wonder if Hale, which is more of a word name, would be an even stronger choice? 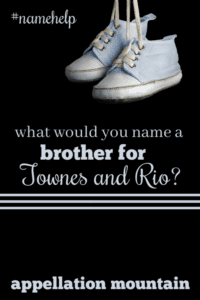 I know our community will have some great suggestions, so let’s open it up: What would you name a brother for Townes and Rio? I like Callahan, Pace and Vaughn. Also wanted to suggest Burke. Came to suggest Shepherd and Heath and I see that I am seconding that opinion which is awesome! I also like Bodhi. I didn’t think of Indy but I’m a fan. It could be short for Indigo or Indiana if that’s your thing (it’s the delightful name of a new Hanson baby I saw on Namberry a week or so ago). LOVE the sound of Hart with Townes + Rio! Good luck and Congrats on baby 3!! How about Hardy? 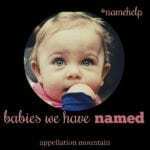 It’s an adjective instead of a noun, it could be a surname, it has a different ending, it has a different beginning, and it doesn’t sound like any other popular name. He feels strong, classic, and well-informed. My head went from Town to River to… Sky – Skylar/Schuyler. Wind – Windham. Fire – Blaise. Hayes – Haverford. Ford. Bridger. Canyon. Ari (Aerie) or Uri. Forrest. Everett. Montague. Montgomery. Love suggestions of Hale and Fox, and Pascal seems like a great way to bridge Pace & Callahan, especially if you called him Pax or Paz to become more wordy. Shepherd and Boone are fantastic! I really like Abby’s suggestion of Vaughn, and perhaps Donovan could be a contender? I once metababy named Rio Crowely. I wonder if you’d like Crowely. Big fan of Zane and Thane! I’ll add Urban as a suggestion. It’s a word name but also a surname from the country singer. Just love it with this sibset Townes, Rio and Urban. Wow great names!! Abby’s right– you could go in any direction now! Townes, Rio, and….. Xander, Pax, Kieran, Javier, Forrest, Micah, Quentin, etc..
With Pace, tbh I go straight to “pacemaker” as in the heart-implant. That, and then with random nicknaming, it’s gonna become Pacey, which is allll Dawson’s Creek as well as being rhymy with many other names. NMS, personally. Wilder I really like; Walden is another option, ala Thoreau. Or Walter or Wallace. Leon is quirky and fun; I associate Russian/Soviet-satellite heritage with that one, but who knows. 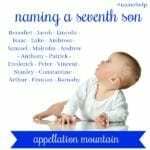 Others that come to mind for your scenario: Orson, Fox, Basil, Wesley, Samir, Edgar, Phinneas, Alistair, Marcel, Aldric, Leander, Victor, Pascal…. I hope you update us; I’m so curious about what you choose! My first thought was Pascal–similar to Pace but slightly more traditional without being at all common. Plus it has a different ending! Love her suggestions. Also: Townes, Rio, and….. Xander, Pax, Kieran, Javier, Forrest, Micah, Quentin. With Pace, tbh I go straight to “pacemaker” as in the heart-implant. That, and then with random nicknaming, it’s gonna become Pacey, which is allll Dawson’s Creek as well as being rhymey with many other names. NMS, personally. Wilder I really like; Walden is another option, ala Thoreau. Or Walter or Wallace. Leon is quirky and fun.